Supershop themes has been purchased 19, rating: 4/5 based on 4 reviews. Supershop is a Shopify template that is based on modern technologies such as CSS 3, HTML 5 and Sass CSS. This is a beautiful and modern design that easily attracts customers at first sight. In addition, it comes with tons of powerful modules like SEO, Mega Menu, Revolution Slider, Slideshow, Ajax, Google Rich snippets, Google web fonts, Ajax Product Filters, Quickview, etc. Plus, Supershop has a flexible control panel that lets you manage your e-commerce store efficiently. 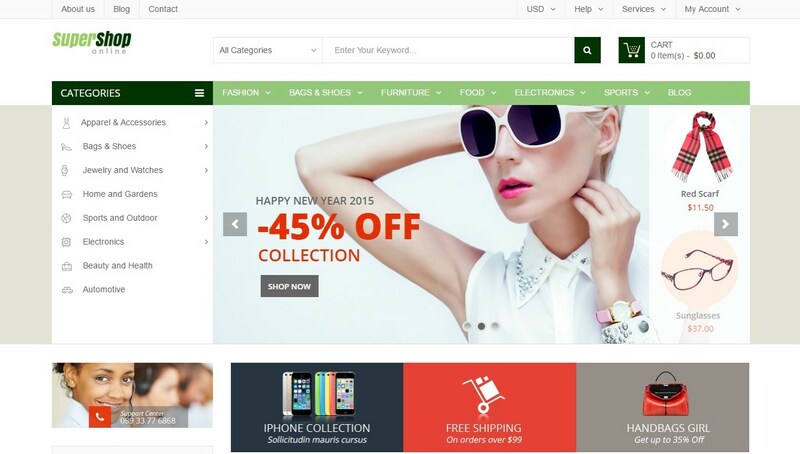 Purchase Supershop Shopify theme to feel!